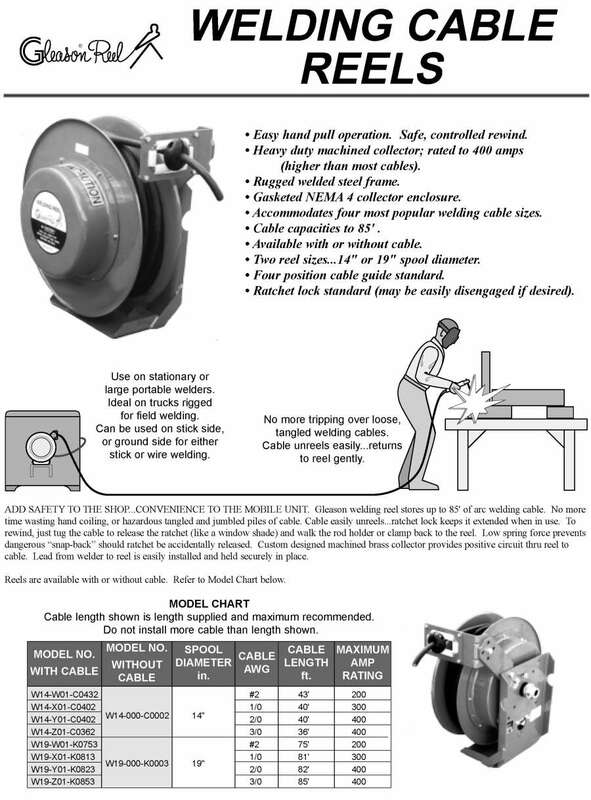 Gleason welding reels store up to 85' of arc welding cable. No more time wasting hand coiling, or hazardous tangled and jumbled piles of cable. Cable easily unreels...ratchet lock keeps it extended when in use. To rewind, just tug the cable to release the ratchet (like a window shade) and walk the rod holder or clamp back to the reel. Custom designed machined brass collector provides positive circuit through reel to cable. 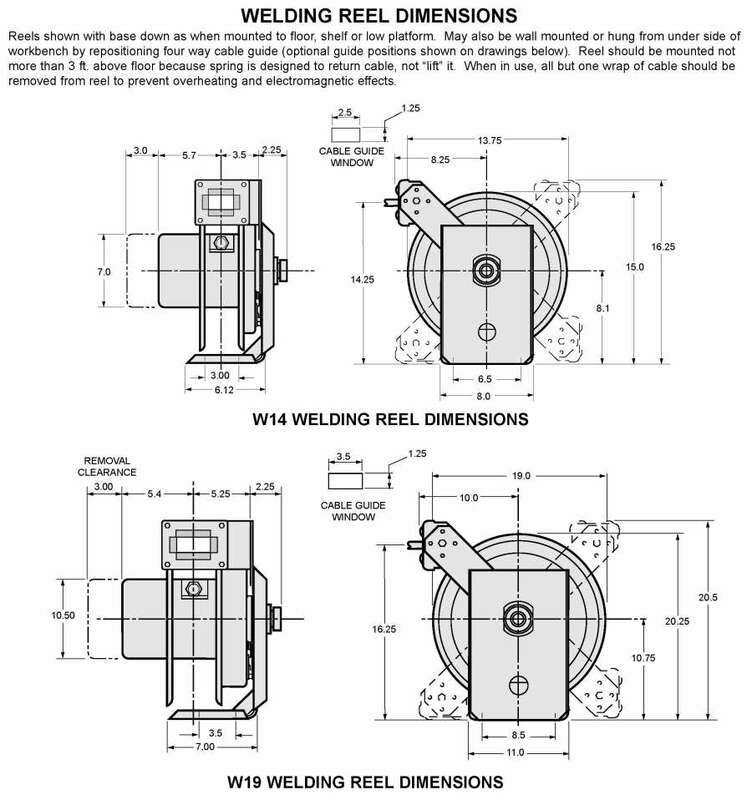 Lead from welder to reel is easily installed and held securely in place. Reels are available with or without cable.